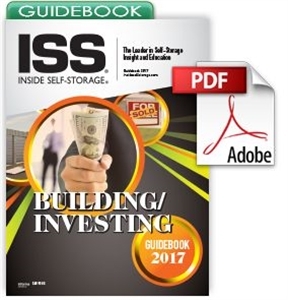 Buying or building a self-storage facility has evolved into a complex process as markets have become increasingly competitive and saturated. 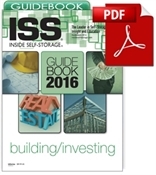 This Guidebook is designed to help individuals who want to invest in the business, establish a facility or expand an existing property. It addresses five critical areas: investing, real estate, finance, development and construction. 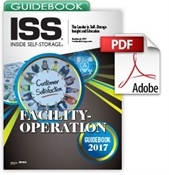 If you prefer to purchase this guidebook in a softcover format, click here. 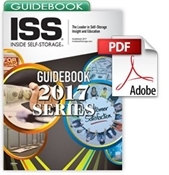 To view other guidebooks in the 2017 series, click here.